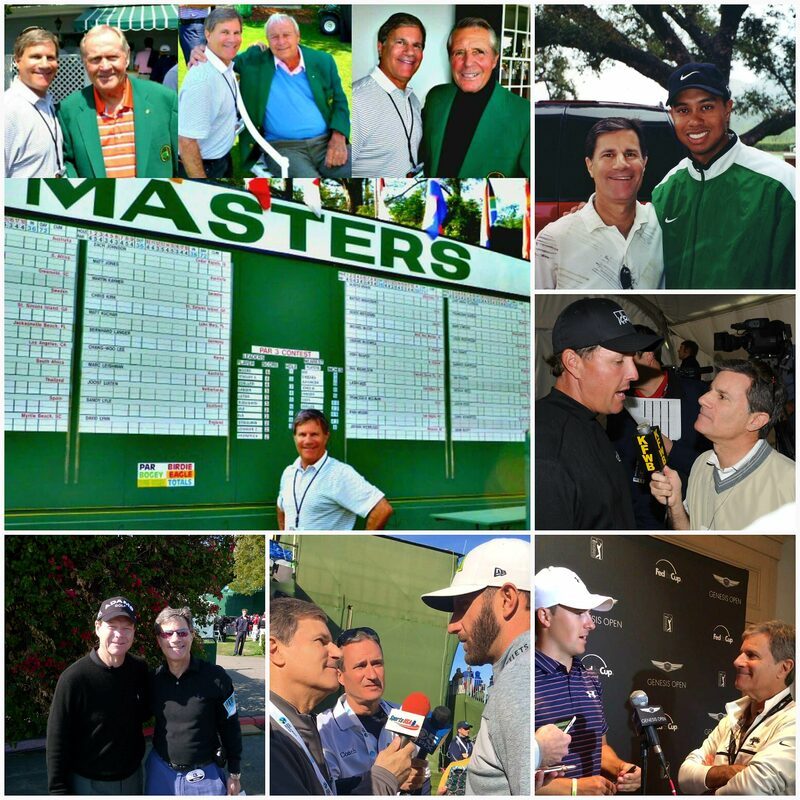 TED SOBEL SPORTS AUDIO VAULT: Your Inside Access To Champions | Award winning sports journalist covering major events around the world since 1974. Please check out my audio vault and follow me on twitter (@tedsobelsports). These are special times as I continue writing my first book called ‘Touching Greatness’ with a possible release in the Spring of 2019. It will be a compilation of the many events and people I’ve experienced in my professional and personal life over the past 6 decades while hopefully entertaining and informing the readers of an era gone by. From covering the Magic Johnson HIV retirement announcement to the process of breaking impactful news stories.. And I’ll be describing life in Southern California through my eyes and how it’s changed greatly including my father being elected President of the Friar’s Club card room soon after it’s scandal when a federal investigation landed mobsters in prison and I’ll also have a special chapter on how my late uncle Carl Foreman the Academy Award winning screenwriter (Bridge on the River Kwai) was a big inspiration in my life along with many comments from those still around who worked with and for him including 101 year old Kirk Douglas. I’ll be keeping you updated on the progress of the book’s publication and when you’ll be able to purchase a copy. Thank you as always for your support and I can’t wait to share this with all of you. 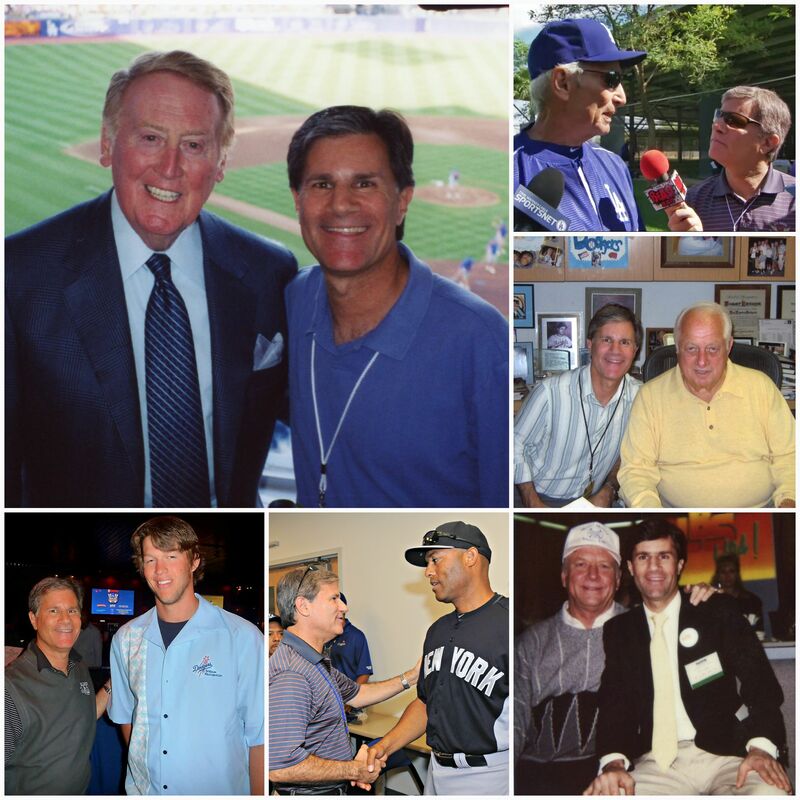 If you are looking for a valuable addition to your corporate media relations support team at a major event or a keynote speaker who entertains while educating and motivating with a lifetime of stories about his experiences in sports, leadership, and team building, please contact Ted via email: tsobel@sportsusamedia.com or on twitter: @tedsobelsports. 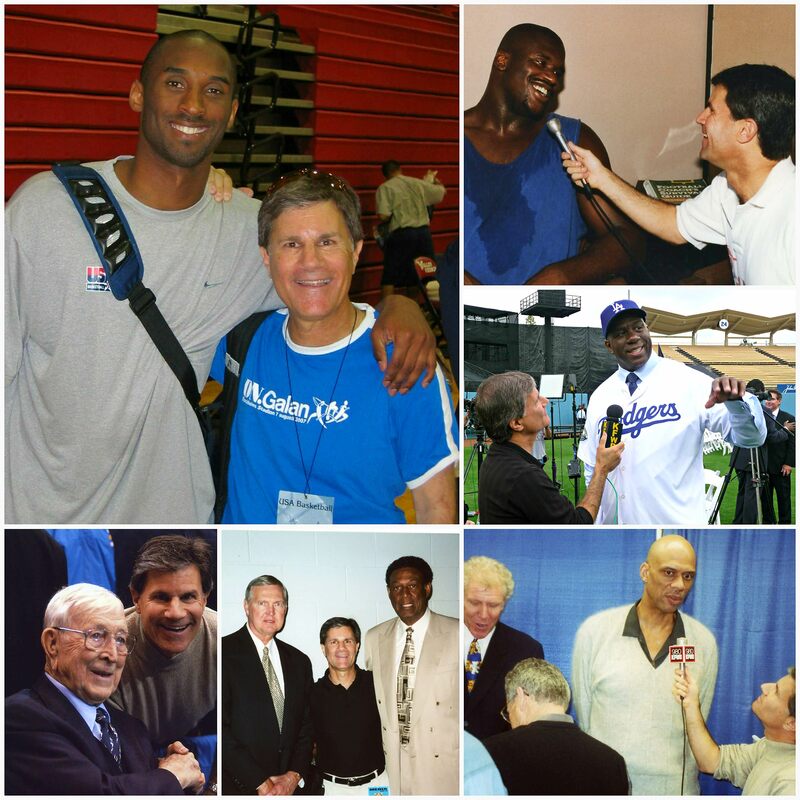 Listed as one of seven distinguished Los Angeles City College Communications Department alumni, Ted Sobel has had an exemplary career in sports broadcasting including an extraordinary list of notables interviewed while being one of very few U.S. radio reporters to regularly cover World Class events (e.g. The Masters, Wimbledon, Open Championship) for a local station during his almost 23 years at L.A’s iconic KFWB where he earned three ‘Golden Mike’ awards (for Best Sports Reporting/Sports news segments) as an integral member of the station’s unprecedented 10 straight SCSBA top L.A. sports anchor award winning teams. He also worked for almost three decades (not consecutively) with KNX NewsRadio Los Angeles as a sports reporter/anchor. Ted is currently in his 11th year as studio host/ reporter for Sports USA Radio Network’s NFL/NCAA football games of the week and a regular American contributor for Japan’s NHK-TV doing seasonal analysis (in english) for their coverage of Super Bowls, World Series, and NBA Finals. Ted’s other professional achievements away from the microphone include representing all sportscasters when voted in for two terms on the local board of directors of AFTRA. In the 1980’s being solely responsible for convincing a large percentage of U.S. television stations (phone contact with over 900 stations) to begin using satellite to receive their daily programs when working for the industry’s pioneer company Wold Communications in Westwood, CA. Later was responsible for many nationally syndicated televised shows daily distribution via satellite and tape (including Wheel of Fortune and Jeopardy) when in management at the Video Tape Company in North Hollywood, CA. He also worked directly under the President of Southern California Nextel Communications (during their start-up year) to convince many large companies (including important public safety businesses) on how the use of their new walkie-talkie type phones would benefit their businesses. Sobel is also a proud nephew of Academy Award winning screenwriter/film producer Carl Foreman (Bridge on the River Kwai screenplay) who was nominated for six other Oscars (incl. High Noon, The Guns of Navarone, and Champion) during his illustrious career which included being honored with the 1969 Laurel Award, the highest award for writing accomplishment given by the Writers Guild of America, and that organization’s Valentine Davies Award for his humanitarian contribution. Foreman was also president of Great Britain’s Writers Guild, was a founding governor of the British National Film Institute, a governor of the British National Film School, a fellow of the Royal Society of Arts, and appointed a Commander of the British Empire by Her Majesty, Queen Elizabeth II. 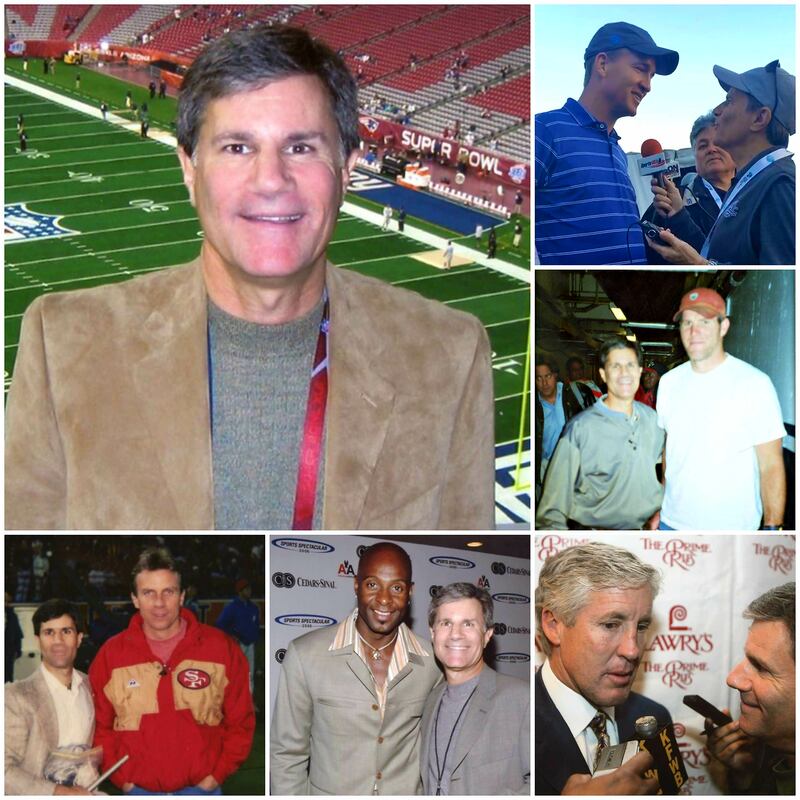 Football Just completed his 11th year as a studio host/sideline reporter for Sports USA Radio Networks NFL/NCAA games of the week along with his Podcast interviews with some of sports all-time greats for the nation’s largest indepedendent syndicator of live play by play on the radio (sportsusamedia.com/studio-hosts/ ). He’s covered numerous Super Bowls including XLII when the New York Giants spoiled the New England Patriots perfect season followed by an exclusive one on one with game MVP Eli Manning; many Rose Bowls including 2006 as #2 Texas beat #1 USC with 19 seconds left for the BCS National Championship; Green Bay Packers quarterback Aaron Rodgers first NFL start in 2008 on a Monday night at storied Lambeau Field along with the lone exclusive postgame one on one with Rodgers and his Packers Super Bowl XLV win over the Pittsburgh Steelers. Sobel has interviewed Rodgers many times over the years including the QB as his Dodgers playoff analyst during the Brett Favre backup years. Finally interviewed his boyhood football idol HOF quarterback and Super Bowl I&II MVP Bart Starr in 2014 in one of Starr’s last long-form one-on-ones (listen here:sportsusamedia.com/studio-hosts/ ) Produced L.A. Rams and UCLA postgame shows for KMPC Radio. Mentor was KMPC Executive Sports Producer and Operations Director Steve Bailey. Baseball Covered Anaheim Angels first World Series championship in 2002; four L.A. Dodgers World Series appearances; No-Hitters by Nolan Ryan in September 1974 (his first credentialed Angels game) and Clayton Kershaw in June 2014. He also attended Sandy Koufax’s last World Series Dodger Stadium win in 1965 vs. Minnesota; Don Drysdale’s 1963 World Series 1-0 win over the Yankees; Big D’s final World Series home start in 1966 vs. Baltimore, and his record-setting 58 2/3rd shutout innings game vs.the Phillies in June 1968. And saw Henry Aaron hit a homer off of Drysdale in his first attended game at the L.A. Coliseum in 1959. 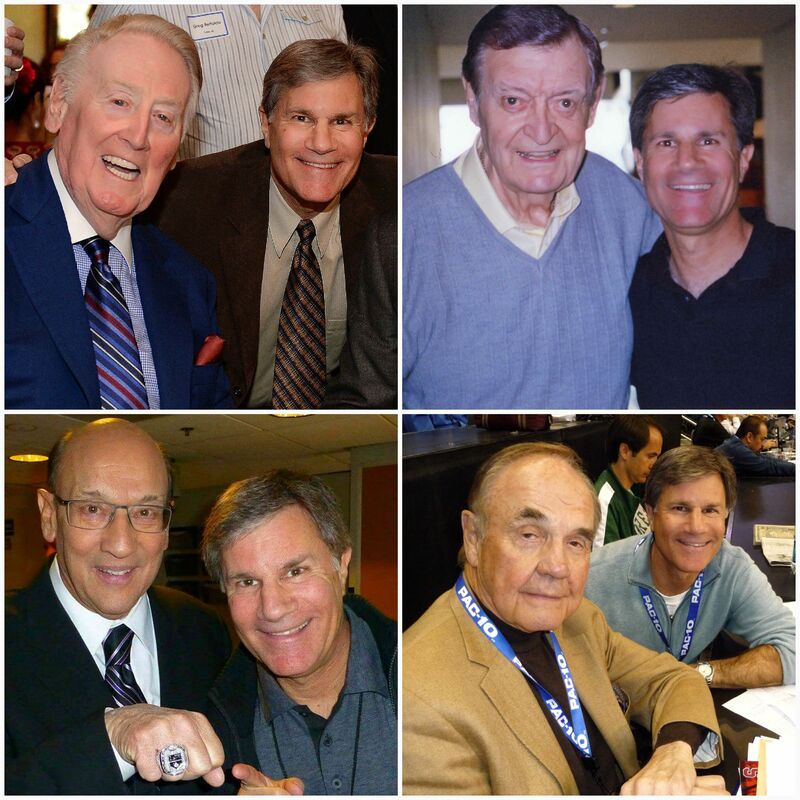 Mentors were his father Bernard Sobel (who sold popcorn and peanuts at Yankee Stadium during the Ruth/Gehrig era); current Yankees public address announcer Paul Olden (friends since broadcasting classes at LACC); and Dave Hull ‘The Hullabalooer’ voted one of the top ten L.A. radio personalities of all-time. Basketball Credentialed by the Los Angeles Lakers since Jerry West’s final season as a player and covered eleven Lakers NBA Championship series; Magic Johnson and Kobe Bryant’s entire careers in L.A. including Kobe’s last game when he scored 60 points; Magic’s 1991 retirement/HIV announcement. Emceed (along with Bill Walton) the 40th anniversary of the Lakers first Championship in L.A. charity dinner in 2012 to benefit WCSMF ‘Team To Win’ student athletes. Anchored three Lakers championship parades/rallies for KFWB radio. Has been a voter for the (men’s) John R. Wooden Award (since 2004) given annually to the most outstanding men’s and women’s college basketball players. He attended Elgin Baylor night in 1969 with the Baylor family, Lakers-Knicks Finals game when Jerry West’s 60 foot shot at the buzzer sent it into overtime, the first time Wilt Chamberlain played against Kareem Abdul Jabbar (Lew Alcindor at the time) at the Forum Lakers-Bucks October 1969. Part of the L.A. Clippers broadcasts when at KFWB. Mentors were Lakers HOF broadcaster Chick Hearn and HOF Coaches Bill Sharman and Tex Winter (who created the ‘Triangle Offense’ for the modern era) and Bill Mulligan. Hockey Covered Los Angeles Kings Stanley Cup Championship winning series in 2012/2014; Anaheim Ducks Stanley Cup winning series in 2007 and other Kings and Ducks Cup Final series in 1993/2003. Wayne Gretzky (the Gretzky watch) leading into breaking Gordie Howe’s NHL goal scoring record of 802 in March 1994 NHL All-Star games including the Montreal Canadien’s Centenial celebration in 2009. Game reporter/in-studio host for Ducks 1993 inaugural telecast on KCAL channel 9 in L.A. Five seasons as the play by play voice of the IHL’s Long Beach/L.A. Ice Dogs (Kings & Ducks NHL affiliate). Ten seasons of hockey radio play by play pro and college. Broadcast two 1980 ‘Miracle on Ice’ pre-Olympic games vs. Univ. of Wisconsin. Mark Howe’s hockey hall of fame induction November 2011. Co-hosted Southern California’s first hockey-only weekly radio show ‘Center Ice Hockey Hour’ on all-sports KMAX-FM in 1995. 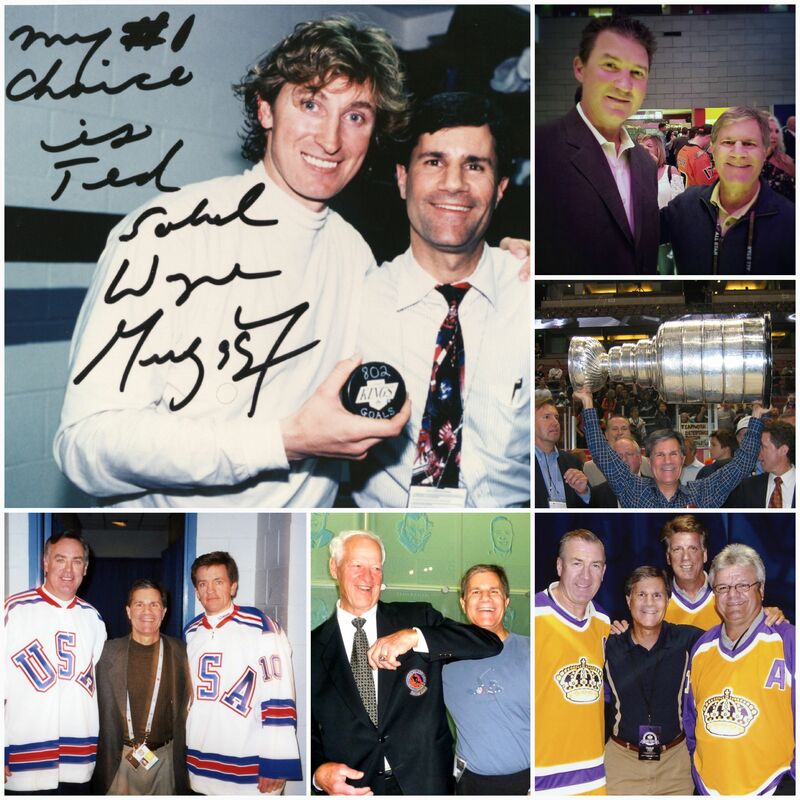 Sobel’s first attended NHL game was watching HOF goalie Terry Sawchuk’s final game as a member of the L.A. Kings in game 7 of the 1968 Stanley Cup first round playoff series and was alongside the bench in the 3rd period. Mentors were Kings HOF broadcaster Bob Miller (each receiving their first LAK credential in the same 1973-74 season) and HOF Coaches ‘Badger Bob’ Johnson and John Cunniff, and John Van Boxmeer. Golf Covered Tiger Woods first PGA Tour start in the 1992 L.A. Open and throughout his career including his last major championship win in the 2008 U.S. Open at Torrey Pines. Jordan Spieth’s first major championship victory at the 2015 Masters and his 2016 collapse at Augusta which was also Arnold Palmer’s last appearance at the Masters. Tom Watson’s two L.A. Open wins and his final rounds at the Masters (2016) and Open (British) Championships at St. Andrews (2015). Seven years as the 18th green announcer at the LPGA’s first major of the year ANA Inspiration (previously the Kraft Nabisco Championship). On-site producer for the first golf major on U.S. soil ever aired on radio: the 1995 PGA Championship at Riviera Country Club (Jack Nicklaus’ final L.A. tour event) overseeing co-hosts Jack Whitaker and LPGA HOFer Amy Alcott and several on course reporters. Tennis The lone local radio reporter (outside of the UK) regularly credentialed at Wimbledon where he covered Roger Federer’s record tying 7th Wimbledon gentlemen’s singles title and two of Serena Williams seven women’s singles titles at the AELTC; Andy Murray’s historic first men’s singles title for a Brit in 77 years at Wimbledon (2013). More than a decade as the lead on-court voice (including several more years as a backup) of the Los Angeles Open ATP event at UCLA with some of the champions being HOFers Pete Sampras, Andre Agassi, Michael Chang, and Jim Courier. 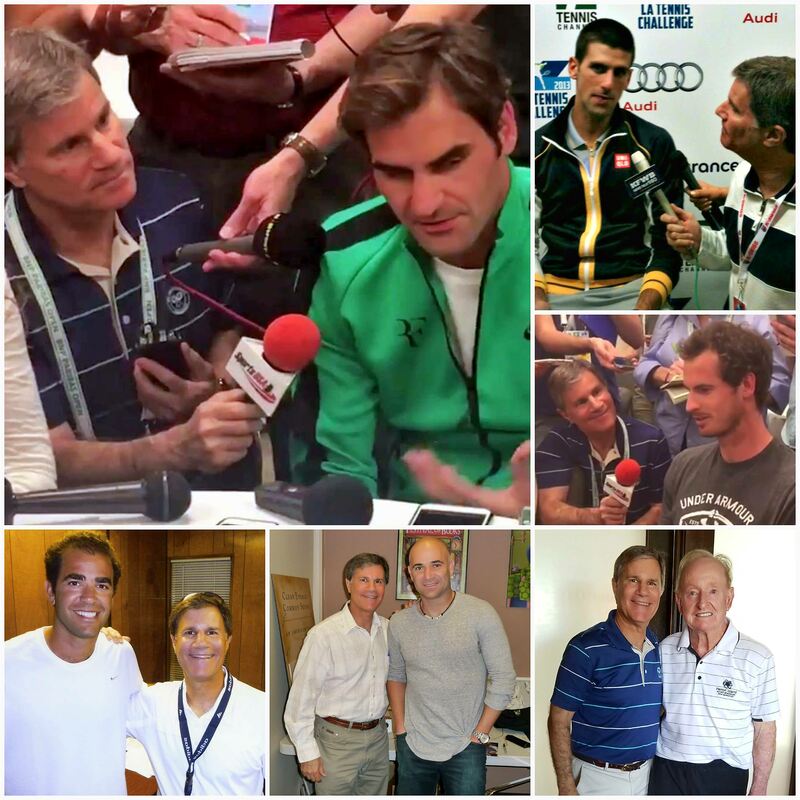 His first credentialed event (as a reporter) was the February 1975 Rod Laver-Jimmy Connors challenge match at Caesars Palace in Las Vegas (had a 90 minute sitdown interview with Laver in 2016-listen here: sportsusamedia.com/studio-hosts/ ). Mentors were Bob and Jack Kramer. Horse Racing Covered American Pharoah winning the Triple Crown in the 2015 Belmont Stakes and California Chrome finishing 4th in the 2014 Belmont going for the Triple Crown. Several Breeders’ Cups including Zenyatta winning the 2009 BC Classic. 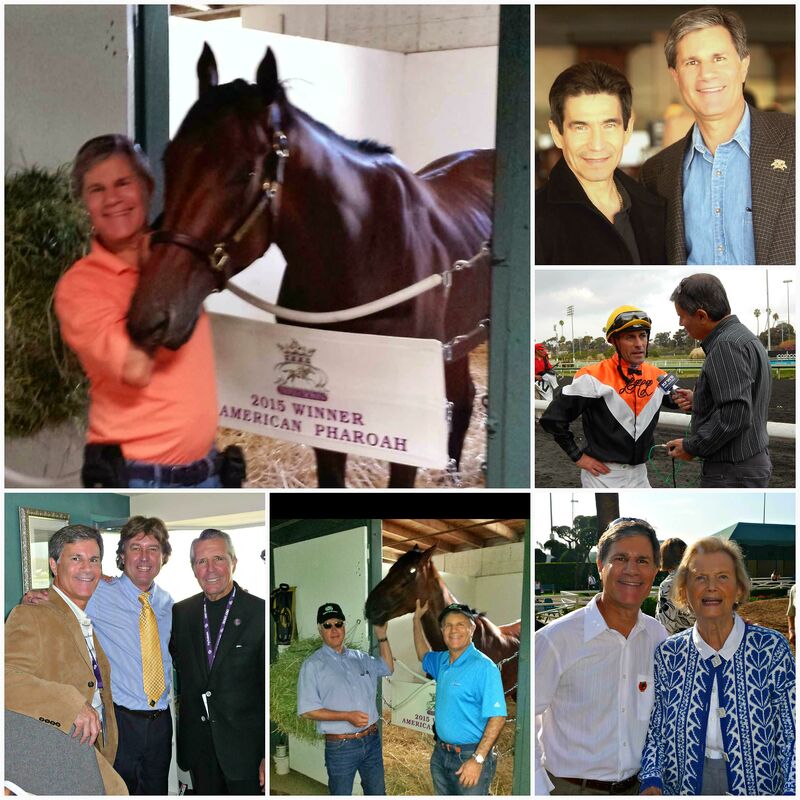 Many Grade I stakes races including Santa Anita Handicaps, Hollywood Gold Cups, and Del Mar Pacific Classics. As a Speaker, he has been in front of the Southern California Orange County business council, college students, charity and awards banquets, and L.A. Dodgers/KFWB sponsors meeting. Amongst his extensive voice over work, was as the arena hockey P.A. Voice for the 1986 movie ‘Touch and Go’ for Tri-Star Pictures starring Michael Keaton. * A fee consideration will be given to educational and charitable organizations. The Kings lead the Chicago Blackhawks 2 games to 1 in their Western Conference final. After Sunday’s practice in El Segundo, I sat down with longtime Kings TV analyst Jim Fox to discuss the series and how he sees his club’s chances at a run for a 2nd Stanley Cup in 3 years? 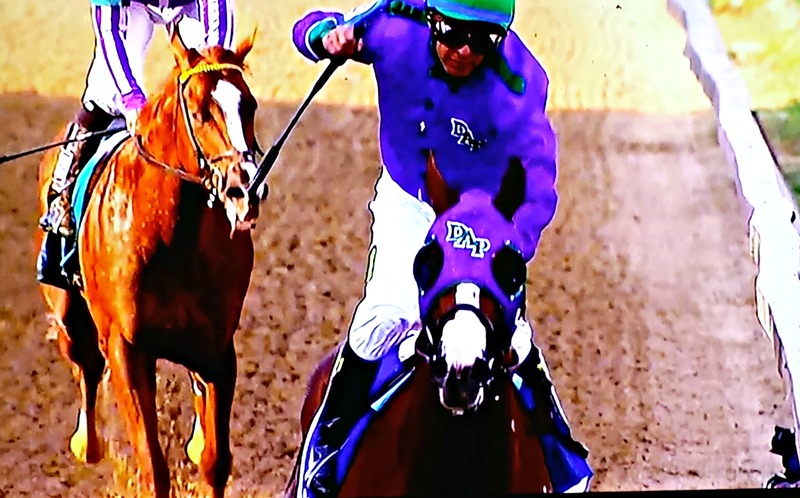 California Chrome speaks again–now just a Belmont away from history! 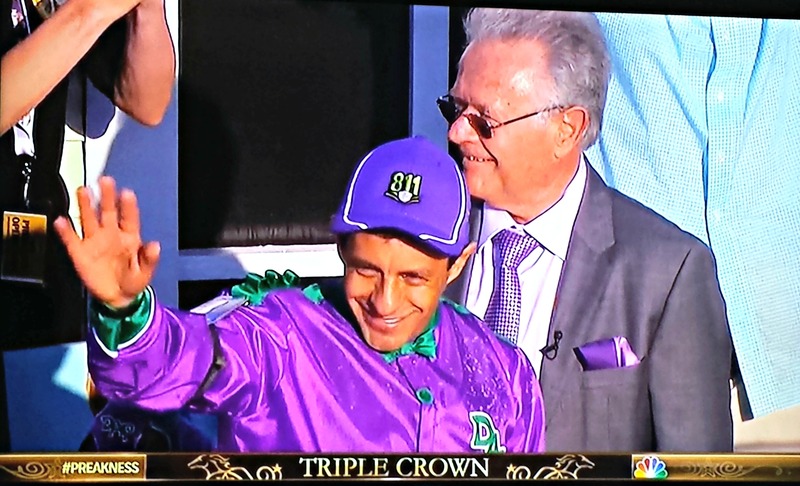 California Chrome is now just one leg away from horse racing’s first triple crown since Affirmed did in the 1978. 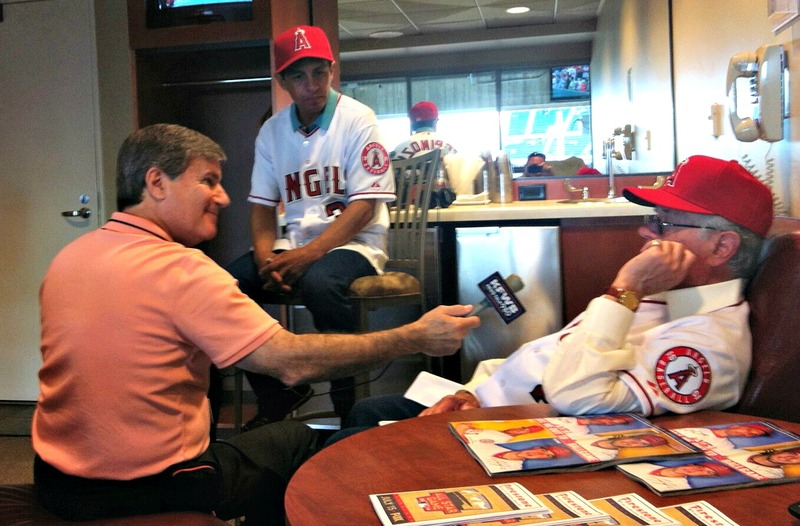 And tonight I had the pleasure to sit down with his trainer Art Sherman and jockey Victor Espinoza before they threw out the ceremonial first pitch in Anaheim with the Angels and Houston Astros set to do battle. Enjoy our chat and good luck to Chrome who could become the first California bred triple crown winner and it couldn’t happen to a more deserving group. There’s a DRAFT in here…and WOW is it strong and deep! 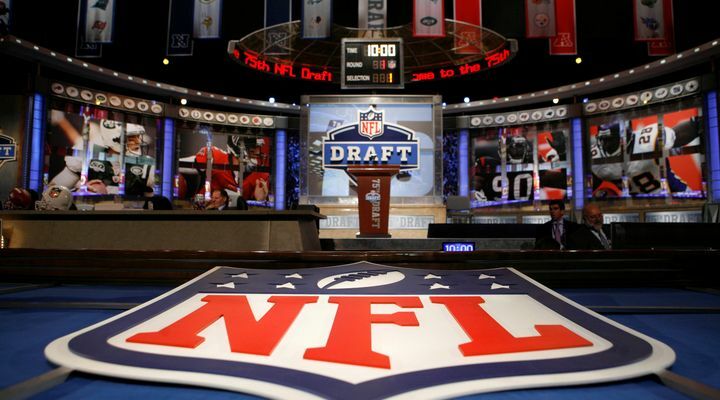 The NFL draft is here and again I’ve lined up for you one of the foremost experts in rating college talent. Ron Marmalefsky has been following players like a science for over 30 years. I hope you enjoy his analysis as we talk right up to the final minutes before the Commish Roger Goodell announces the Houston Texans first pick.